In a development that’s been expected for a couple of decades – and eagerly anticipated by some in the industry for any number of years – the time for the ‘Red Delicious’ variety to remain on top is going to come to an end. 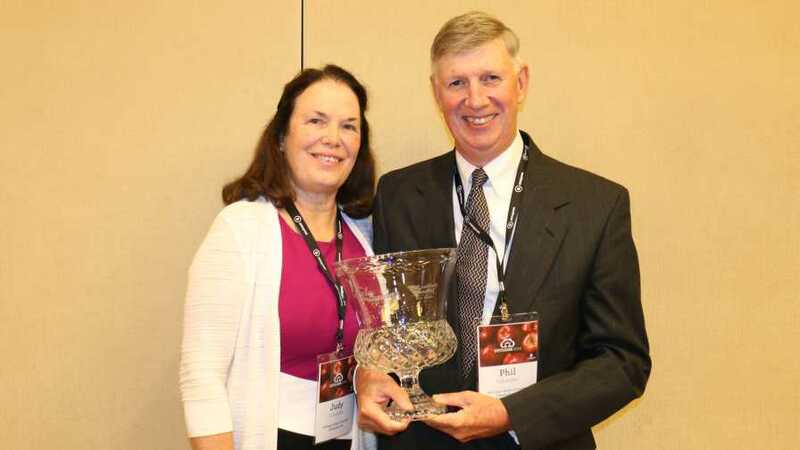 The announcement that the ‘Gala’ variety will take the top spot was made last week at the annual Apple Crop Outlook & Marketing Conference in Chicago, hosted by the U.S. Apple Association (USApple), where the Apple Growers of the Year, Phil and Judy Schwallier, were honored. As for this year’s crop, USApple predicts the total U.S. crop will be down 6% from 2017, and down 2% from the five–year average. 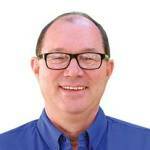 To see charts on how the crop is expected to shape up — including the forecasts for every commercial apple production state — check out the tweets posted by American Fruit Grower Editor Dave Eddy and Executive Editor Richard Jones. For still more details, check out #AppleOutlook2018. 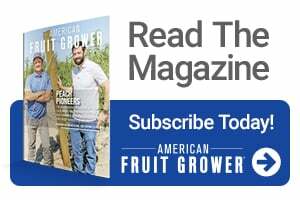 Each year, American Fruit Grower magazine honors one grower as Apple Grower of the Year. This year, the award, which is sponsored by Valent, went to the Schwalliers, a husband and wife power duo from Sparta MI. American Fruit Grower readers certainly did. Submissions poured in for the couple, who besides being growers, have contributed to the industry through education. Phil is a Michigan State University Extension Farm Adviser, and Judy runs the successful farm market, Schwallier’s Country Basket. Congratulations to Phil and Judy…..what an honor. On the Red VS Gala, yes many industry folks have had the notion this was happening for a while. Although I find the Gala apples are really no better than red delicious after being manipulated to be stored long term. Gala apple is fine off the tree and stored short term but they just are not nice eating after that. I honestly think “reds” are better.